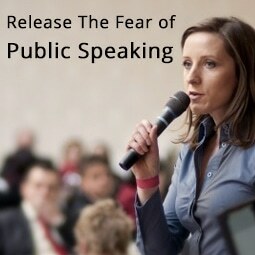 Identify and Remove Your Public Speaking Anxiety Once and For All Using Incredibly Effective, Simple Techniques. An online course by Dr. Daphna Slonim & Alexa Fischer. It’s time to heal your wound and release your fear. Imagine the freedom that comes with confidence. No more invisible walls between you and your fullest potential. No more gnawing doubts that fill you with insecurity. Just the effortless ease of knowing that you can do it. So when the moment to shine arrives, you jump. No questions asked. It’s time to experience life free from the fear that has burdened you. It’s time for you to taste life on the other side. We are here to help show you the way. Join us now.